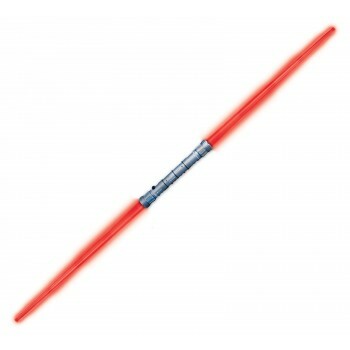 Use the Force with Darth Maul's red, double bladed lightsaber! One of the best parts of The Phantom Menace is when he ignites both blades and truly gives Qui-Gon Jinn and Obi-Wan Kenobi a challenge! 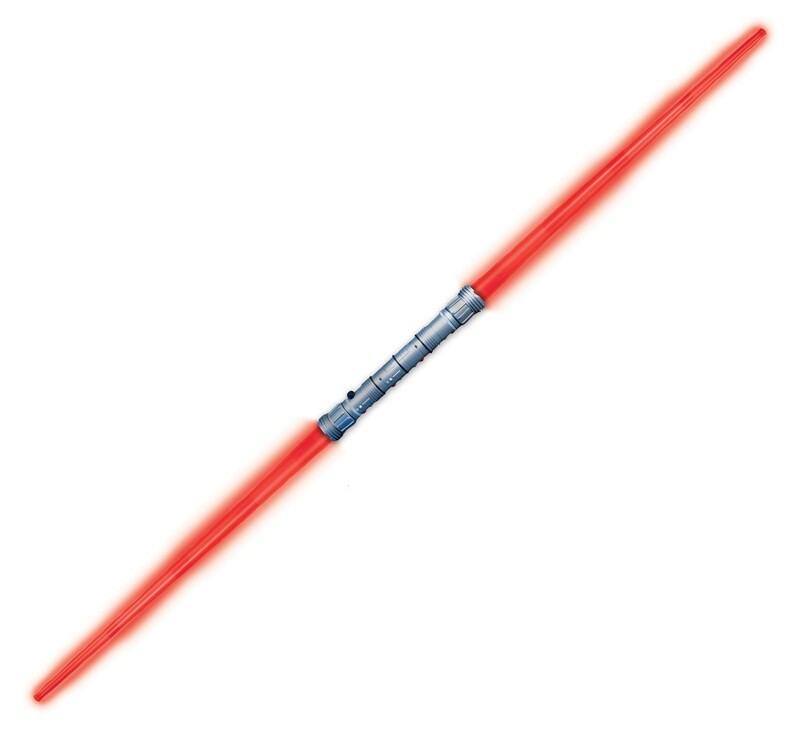 Includes one red extendable lightsaber. Requires 3 AAA battires, not included. Sturdy injection molded handle with plastic, light up, telescopic blades. Extends to over 3ft long! This is an officially licensed STAR WARS ™ product. Please note that while this is a fun toy, it is not designed for actual combat. This lightsaber dimly lights up and is best seen in a dark room.